Be the first to hear about their new releases and deals. Download the Booksprout app and search for Ruby Hill today! 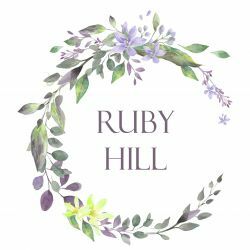 Ruby Hill has always had a passion for historical romance fiction. She grew up in Colorado, where she currently lives with her husband, two children, and a rambunctious rescue dog. Ruby writers historical mail order bride romance stories that will make you fall in love.